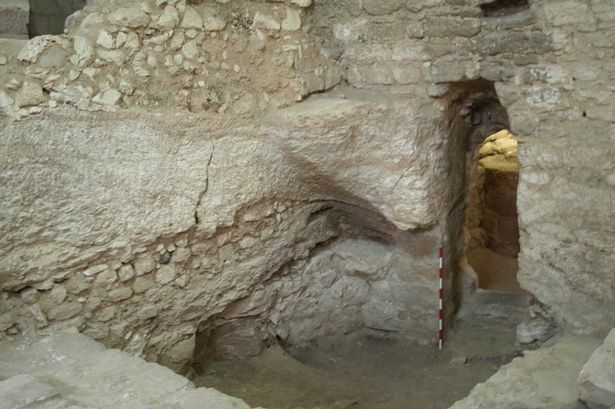 Archelogists claim that a house that has been known as the house where Jesus grew up in might be his actual home indeed. two houses where found (one in 2009) that dates back to the first century. The person that made the connection that this might have actually been Jesus’ house is Professor Dark (there is a little irony in his name, I am aware of that) from Reading University. In the verse of “Locus Sanctis” written by Irish monk Adomnán. In it he describes a pilgramage to Nazareth by Bishop Arculf. In the text a church is described that matches the remains of the house. That would mean that from early on the house had been recognized as a sacred place and rebuild as a church. Here is a link to a film of the discovery. The Sisters of Nazareth first claimed in 1880 that the house belonged to the son of God. The house has been cut out of a limestone hillside and is good preserved because of the chalk floor. It was a believe among ancient Jewish people that limestone was pure. In 1936 Jesuite priest Henri Senès did some archeological research on the spot, but his work remained unnoticed. it was not until Profesor Dark connected the ancient pelgrim text Locus Sanctis to the house that the findings became world news.